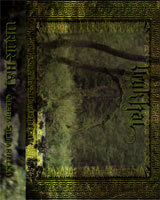 Description: pagan battle ambient from Austria. Cover is printed on special half-transparent paper. ...The First Age began with the rise of the Sun and the arrival of the Noldorin the land Beleriand in Middle-earth, and ended with the overthrow of Morgoth. The First Age was also known as the Elder Days.